Harrisburg, PA – Since the state’s first agriculture show, hosted by William Penn in Philadelphia in 1686, farmers have gathered across Pennsylvania to showcase their farm successes, hear about new technology and talk with old friends. The first annual statewide exhibition, the Pennsylvania Corn, Fruit, Vegetable, Dairy Products and Wool Show, was held in Harrisburg in 1917 and covered just 10,000 square feet and attracted 5,000 people. By 1927, attendance grew to 50,000, and in 1931 the show was officially named the Pennsylvania Farm Show and housed in a new building located on reclaimed land on the outskirts of Harrisburg. Today that building (pictured above) is the Pennsylvania Farm Show Complex and Expo Center (FSC). The building maintains whispers of the past as you walk through its doors and you can almost smell the welding and hear the clank of metal from the building’s time as a wartime factory, or see show animals being unloaded from rail stock cars. Now the complex hosts more than 300 events and meetings and welcomes in excess of one million visitors annually. While agriculture remains at the heart of its function, the modern building is home to trade shows, sporting events (pictured below), conventions and more. It features nearly one million square feet of flexible exhibit space under one roof and plenty of parking, and easily hosts a variety of events and meetings at the same time. The original part of the building was recently remodeled and is now home to the Keystone Conference Center, adding more options for smaller meetings. A cash cow for the regional economy, it was estimated in 2013 that the complex brings more than $350 million in economic impact into the Harrisburg area each year because of visitor spending at restaurants, hotels and shopping and tourism spots. The building’s annual namesake event, The PA Farm Show, returns every January and attracts more than 400,000 visitors each year and generates about $90 million to the region. In the summer of 2013, the complex was the headquarters for the State Games of America (SGA) which hosted approximately 10,000 people in Harrisburg. In October 2013, the complex hosted the American Rabbit Breeders Association national convention and the Mennonite World Conference in July 2015 with 15,000 people in attendance and an estimated economic impact of $40 million. 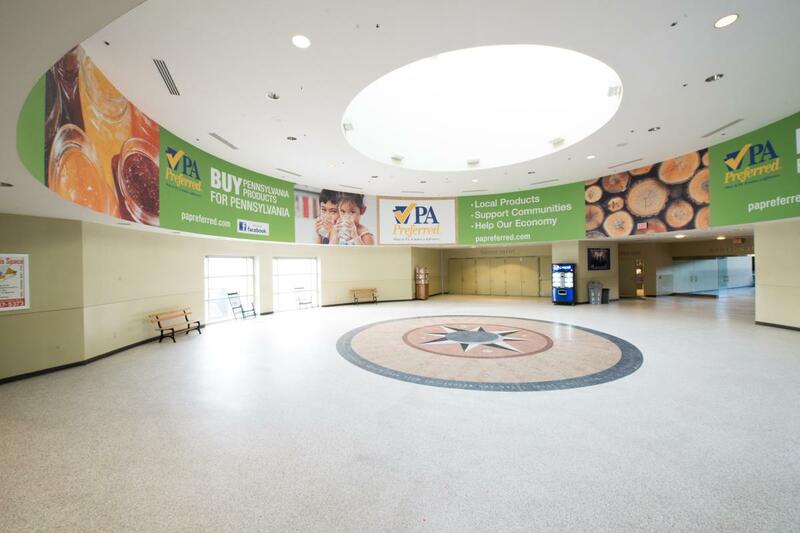 In 2013, the team at the complex and the Farm Show Commission developed a strategic plan to make the venue Pennsylvania’s preferred multi-use facility for expositions, exhibitions, conventions, sporting and social events, meetings and banquets. The plan included increasing complex utilization, ramping up marketing efforts, and making capital improvements. The plan is a continuation of efforts to operate the complex like a profitable business by increasing revenue and decreasing costs, according to Greig. Since the 2004-2005 fiscal year, the facility’s revenue is up 20 percent and occupancy in major halls increased to 76 percent, from 72 percent five years ago. During the same time period, the facility also cut expenses by $200,000 with steps to reduce energy costs and to operate more efficiently. As part of the cost savings efforts, Greig also said they are seeking new public-private partnerships to help in the operation of the complex with minimal taxpayer dollars including a $750,000 sponsorship agreement with Weis Markets for naming rights to the Expo Hall. Other sponsors include Ford, Nationwide Insurance, and Highmark which could generate nearly $225,000 to the complex’s overall operating budget each year. Since 2006, the venue has successfully partnered with the Hershey Harrisburg Regional Visitors Bureau (HHRVB) to serve as the event sales representatives for the complex. That arrangement has been credited by state officials and complex leadership with the facility&apos;s successful efforts to grow through securing new meetings and event business. However, Altland added that while securing new events is the mission of the bureau, the positive experience of working with the entire staff at the facility is what makes her job of securing repeat business a much easier task. Some major long-term business for the complex beyond the Farm Show event includes the Eastern Sports and Outdoor Show that will be celebrating its 58th year at the complex in February 2013 and is regarded as the largest privately produced annual event at the complex according to Altland. Other events that have become a long-standing tradition for the facility include the Pennsylvania National Horse Show, Fire Expo, and the Christian Homeschool Association of Pennsylvania. As a partner the HHRVB was also instrumental in securing a portable SnapSports® ShockTower® indoor sports surface system for the facility in 2010. The new court system, purchased in a cooperative agreement among the FSC, Dauphin County, and the HHRVB provides approximately 78,500 square feet of playing surface within the complex – enough space to host up to 15 basketball courts or 20 volleyball courts at one time. The new flooring’s surface and design which provides impact control, ball response, and athlete safety allows it to accommodate a wide range of sports beyond basketball including: volleyball, team handball, indoor field hockey, fencing, futsal, wrestling, and cheer leading. Since 2010 the flooring has helped the facility attract new sporting events and to retain events that were growing beyond the facility’s previous capabilities, according to Cook. The flooring expansion has helped secure the Keystone Regional Volleyball Association (KRVA) and retain the U.S. Junior Nationals Basketball Championships that began 11 years ago with a few dozen teams and now exceeds 200 teams in 2012. All-American Dairy Show: $9.5 million impact with 6,000 attendees. Keystone International Livestock Expo: $24 million impact with 15,000 attendees. Penn National Horse Show: $36.5 million impact with 15,000 attendees. 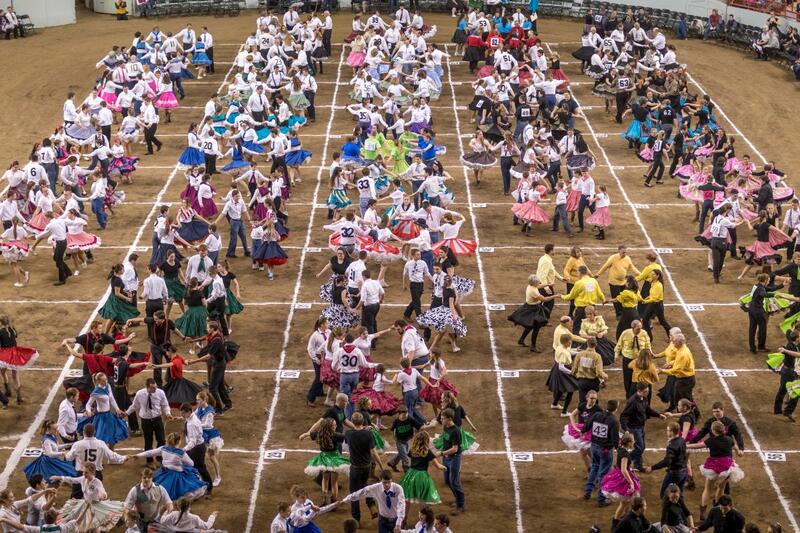 PA 4-H Horse Show: $2.6 million impact with 5,000 attendees. Standardbred Horse Sale: $46.4 million impact and 15,000 attendees.